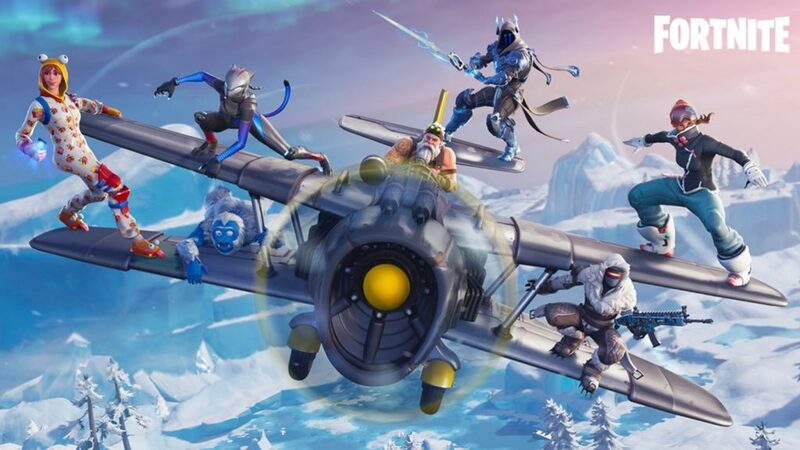 Fortnite season 7 begins December 6th, 2018. The season starts off with a winter themed map that is sure to change over time. 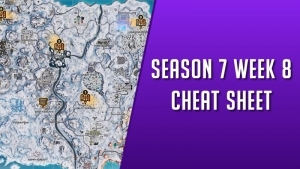 Take a look at the season 7 cheat sheets, leaks, challenge guides, news and map changes below. 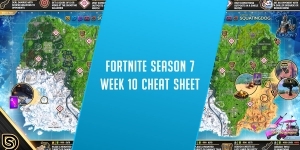 The Fortnite week 10 cheat sheet has been released. Complete your battle pass challenges with ease using the handy map. Locate all of the golden ballons to complete your “pop 10 golden balloons” challenge. By completing the challenge you will be rewarded with 5 battle pass stars. Complete your season 7 week 9 challenges with our Fortnite cheat sheet. Unlock tiers towrads new items using the challenge guide to ease your way through the week 9 challenges. 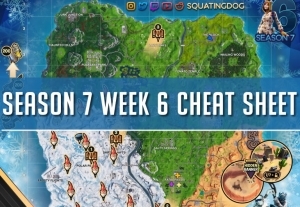 An all new cheat sheet for Fortnite Season 7 week 8 has been released. Complete your challenges to unlock special battle pass rewards. 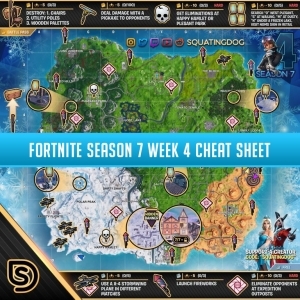 An all new cheat sheet for Fortnite Season 7 week 7 has been released. Complete your challenges to unlock special battle pass rewards. 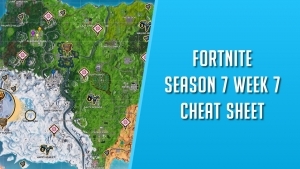 Complete your Fortnite season 7 week 6 challenges using the easy cheat sheet. Locate gnomes, ammo boxes, and an ice rink to slide your puck 150m. Take a look at the cheat sheet for Fortnite’s Season 7 Week 5. Complete all the challenges to unlock tiers towards your battle pass. 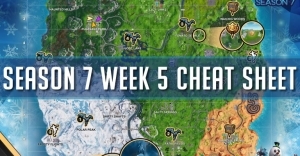 Complete all season 7 week 4 challenges with this weeks cheat sheet. Unlock 50 battle pass stars by completing Fortnite Season 7 Week 4 challenges. A new game mode is coming to Fortnite battle royale. 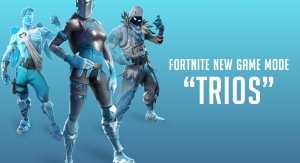 Trios will be a 3 person squads classic battle royale game mode. 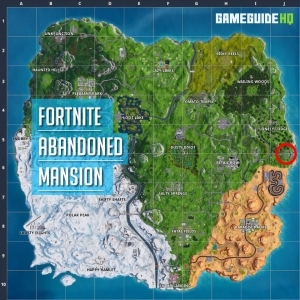 Complete the challenge “compete in a dance off at an abandoned mansion” by landing at the manion marked on our map. Complete the challenge to earn 10 battle pass stars.